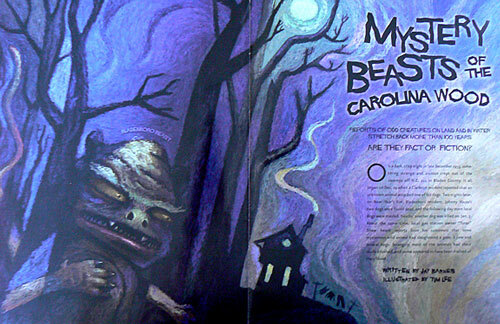 In North Carolina, the Beast of Bladenboro has plenty of company on the cryptid list. There’s an intriguing story about a large “sea serpent” that was struck and injured by the Grace Lines steamer Santa Clara on Dec. 30, 1947, as the ship passed some 120 miles off Cape Lookout. And near Charlotte, it turns out we may have our own Nessielike phenomenon in Lake Norman. 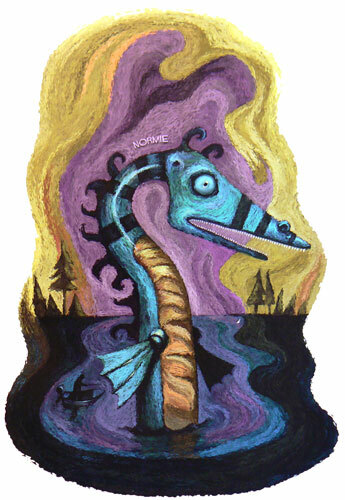 Mooresville resident Matt Myers created LakeNormanMonster.com as the official Web site for the mysterious beast called Normie. Boaters, fisherman and even entire school groups have logged in reports of something strange swimming about the lake. Biologists say it could be an oversized catfish or alligator gar, but others think it’s something much larger. And of course, the Web site offers souvenir Normie hats and T-shirts. This article is reprinted from the February 2010 issue. To order back issues, please visit www.ncwildlife.org.